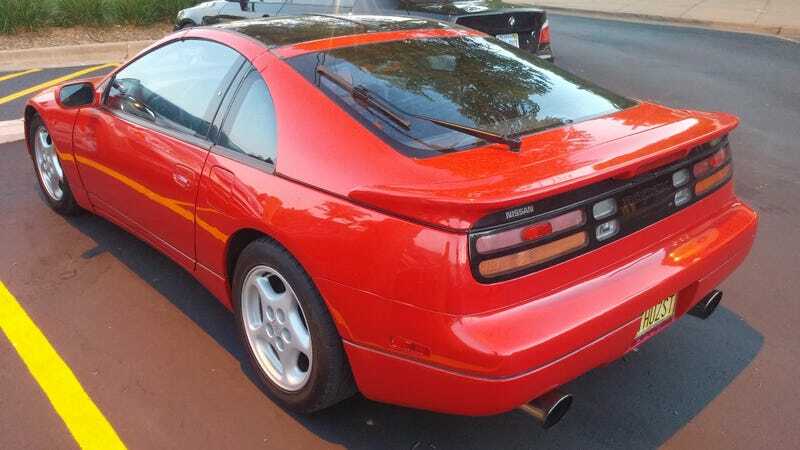 The Nissan 300ZX has garnered a reputation as being a bit of a maintenance glutton. A car in which you fix one expensive thing only to have an even more expensive item break immediately thereafter. I’m here to say that reliability can be made of these cars, but it comes at the cost of replacing nearly everything. Alright, you got me. I’m blowing a bunch of smoke. Since giving my old twin-turbo 300ZX a thorough overhaul, I’ve only driven it a scant 1,500 miles. There’s no way I can attest to the car’s genuine reliability. How many miles does such a badge take to earn? Ten thousand miles? One hundred thousand? Whatever the number, it will be many years before I find out. However, I can say that in the period of time since the rebuild, nothing has broken. No leaks have sprung. No strange scents have emanated from it nor have any unexpected noises cropped up. It’s all been, well, fairly uneventful. Uneventful in all ways but one: That addictive twin turbo power. You can be in love with the car’s looks, with the serene comfort of the well bolstered seats, or maybe even the enormous cargo room under the hatch. There are so many features to appreciate on this grand-tourer-turned-sports-car. But, once you press on the go pedal, all of that fluff takes a back seat. The way the engine makes its power is not how I would have predicted. There is considerable turbo lag which doesn’t fully eradicate itself until about 3,000 RPM. There’s an upside and downside to this characteristic. It allows you to lug your way around town, just cruise, and never subject yourself the ludicrous power lurking within. The downside is that to really get the car moving in traffic, you’ll be looking for the next lower gear. A roll-on torque monster it’s not. But when you get to the engine’s sweet spot, it’s a liberating feeling knowing you can out-accelerate almost any regular car on the road. The surge of power hits you in the back of the seat like a Mack truck plowing through a stop sign. Every once in a while I will pull up next to a 350Z or 370Z. I feel this overwhelming joy for a shared understanding of each other’s cars. I’m shaking in my seat because of the perfectly aligned situation that is about to unfold. We will spill our best stories involving our Z’s; we will partake in the Z brotherhood, all in the brief minute of the red light. A deep, meaningful automotive connection will be made. But it never pans out. Many of these individuals have simply bought newer sports cars. Often they are not aware of the car’s heritage and would rather not acknowledge anyone pulling up beside them – regardless of whether that other car is another Z. Oh well, such is life. Occasionally, a car will shoot up in the rear-view seemingly out of nowhere. You know the type. 95 mph lane changes while maneuvering around twenty cars. A rolling infraction on the loose. All of this just to catch up to you. Those whom are ‘in the know’ are always curious to see if you’re up for battle. The adrenaline starts to flow and pure acceleration ecstasy is just one gear down. Going fast is easy. Keeping a level head when such power is accessible? That’s not. And that might be the hardest part about owning the Turbo Z. It’s not the low ride height that makes you hold your breath at every pothole. It’s not that they are unreliable. It’s not that they are expensive to repair. I’ve found that the hardest part of owning one is the constant self-checking one has to do to make sure they don’t end up on YouTube as the next viral laugh. They are wonderful cars, but they do command some respect from the operator. So far, I’ve made it out alright.